They know all about you. They know who you are and where you live, where you work and how you worship, what magazines you read and what websites you visit, what books you love and bands you loathe, what you earn and what you save, what you like to eat and do and say and see and buy. They're the data brokers, and your business is their business. According to the US FTC, data brokers aggregate and sell an average of 3,000 pieces of data on nearly every US consumer, combining online and offline data from retailers, financial firms and social networks to create startlingly detailed pictures of people's lives - pictures that they then bundle up and sell. You can buy lists of expectant parents, of poorly-educated pensioners, of married people who've secretly signed up for online dating sites. 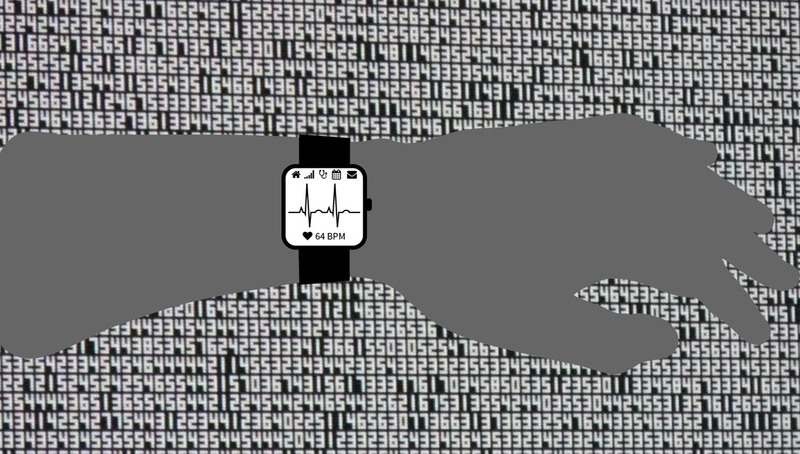 If we're not careful, wearables are about to make that a whole lot worse. Individual bits of data aren't worth very much. According to the Financial Times, “general information about a person, such as their age, gender and [home] location is worth a mere $0.0005 per person, or $0.50 per 1,000 people". But the more useful the data is to marketers, the more valuable it becomes. For example knowing that someone is diabetic, has high blood pressure or high cholesterol adds around $0.26 for each condition, and knowing that you're exercising to try and lose weight adds around $0.10. Collectively, we're cash cows. According to the Boston Consulting Group, the value extracted from European consumers' personal data in 2011 was €315 billion, and it'll grow to nearly €1 trillion per year by 2020. The more data we provide, the more money can be made. Writing on Inside Big Data, Daniel Gutierrez describes wearables as collecting “enormous treasure troves of data". “Depending on the specs of the wearable hardware to which the app interfaces, you potentially have access to a myriad of sensors – accelerometer, gyroscope, geolocation, magnetometer, pressure, altimeter, temperature, electrodermal response - as well as security and health biometrics." By combining that data with existing data, and applying machine-learning algorithms, scientists might be able to see the future - whether that's where you're likely to holiday next year or whether you're about to be struck down with a horrible illness. “You're hungry! Buy one of these!" Would you like advertisers to know when you're hungry or ill, to track your movements or to know more about you than your GP does? The danger here is that data you're collecting for one purpose - fitness, say - could easily be used for something else, such as to target advertising at you. You might have already consented to such data use. Few of us read the terms and conditions when we buy new hardware or install new apps, and we're often surprised where our data ends up: in 2011, Fitbit users discovered that their records of their sexual activity, data they'd assumed was for their eyes only, were publicly viewable online. Even when we do read the T&Cs, tech firms have a tendency to change them. Keeping track of Facebook's T&Cs and privacy settings already feels like a full-time job, and what tech firms promise not to share today is all too often shared tomorrow - either because their priorities change, or because they get snapped up by tech giants such as Facebook or Google. Still, at least the choice of whether to monitor and record your most personal data is yours. One group of people who are very interested in wearable data is employers - especially in the US, where companies pay for their employees' healthcare. If wearable data can reduce premiums or encourage employees to get healthier, thereby reducing their healthcare costs, you'd expect employers to be all over it - and they are. BP trialled Fitbit Zips with around 14,000 staff; offering fitness points towards lower insurance premiums. AutoDesk buys Fitbits in bulk and offers them to employees at a discount; and health insurer Cigna distributed fitness trackers to thousands of its customers' employees. In each case the aim is to cut healthcare costs, either by encouraging general fitness or by explicitly setting fitness goals in exchange for financial considerations. The good news is that you shouldn't expect employers to demand access to wearable data and give you the boot if you aren't healthy enough any time soon. There's plenty of legislation in place to protect employees from discrimination due to disability and major health conditions, and in the UK the Data Protection Act places strict limits on the kind of data employers are allowed to process about their employees. That doesn't mean wearable data can't be used to bite you, though. In much the same way some insurers ask their customers to install black boxes in their cars or face significantly higher premiums, it isn't hard to imagine health and life insurers mandating health tracking wearables either formally or by massively hiking premiums for refuseniks. You can even imagine the state getting in on the act, with the Department of Work and Pensions demanding long-term sickness benefit claimants wear health monitors to prove they aren't skiving. There's another potential consequence to wearing devices that record where you go and what you do: according to the American Academy of Matrimonial Lawyers, there has been a sharp rise in the use of electronic evidence in divorce cases. That evidence is largely email, but the use of GPS data in court is growing and, as wearables take off, canny lawyers could potentially use that data too. Data showing you were indulging in vigorous physical activity at somebody else's house might not prove anything, but it won't look very good in a divorce court. Most of us are better behaved than that, of course - and if your partner is intercepting your wearable's data, something's very wrong in your relationship - but it's a good example of the unintended consequences of the electronic traces we don't always realise we're leaving behind. Our smartphones already record our everyday activities, and the more devices and data we add, the more data there will be for others to mine. Be careful what you sign up for.